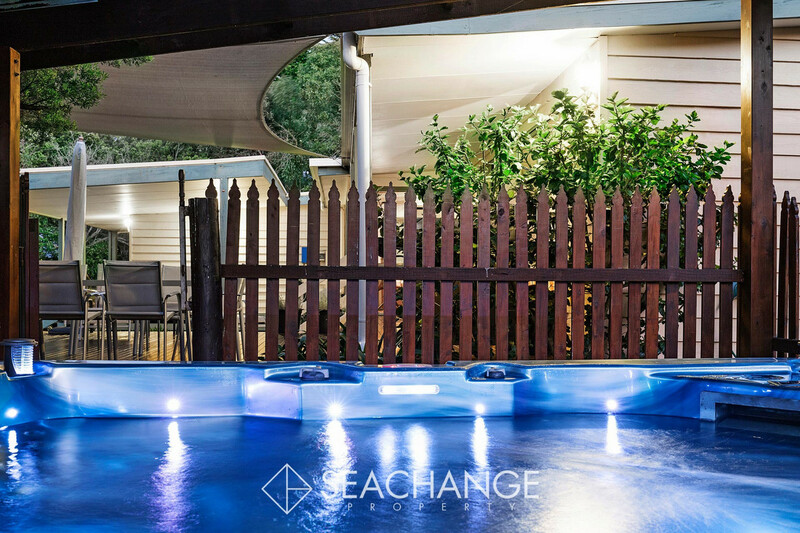 Settle for the best of both worlds. 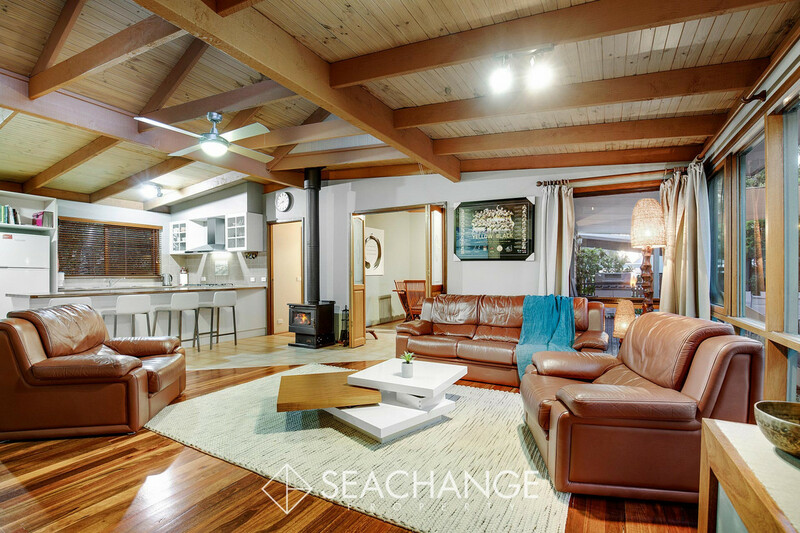 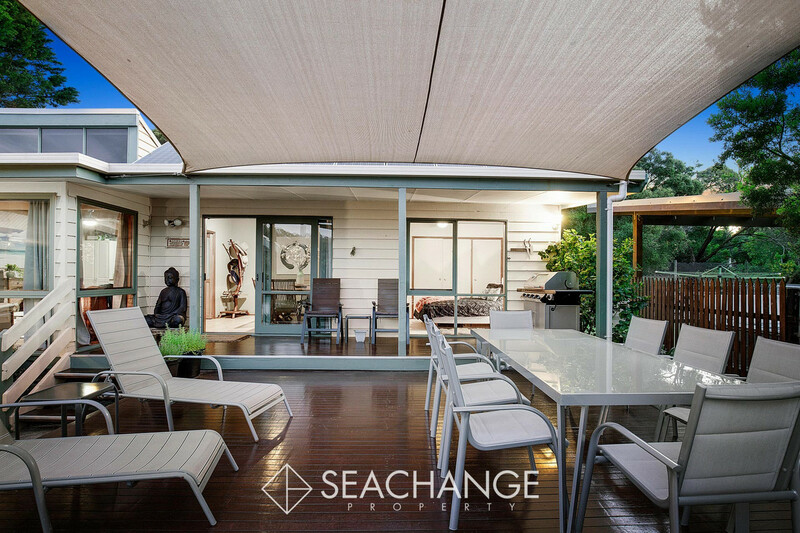 Live or holiday in complete privacy and ambiance approximately 500m from the ocean beach, yet be close to every convenience that beautiful Rye has to offer. 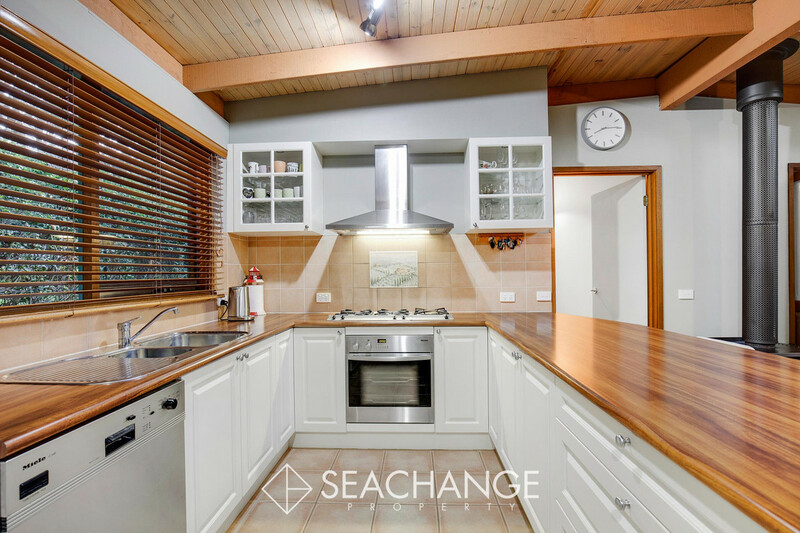 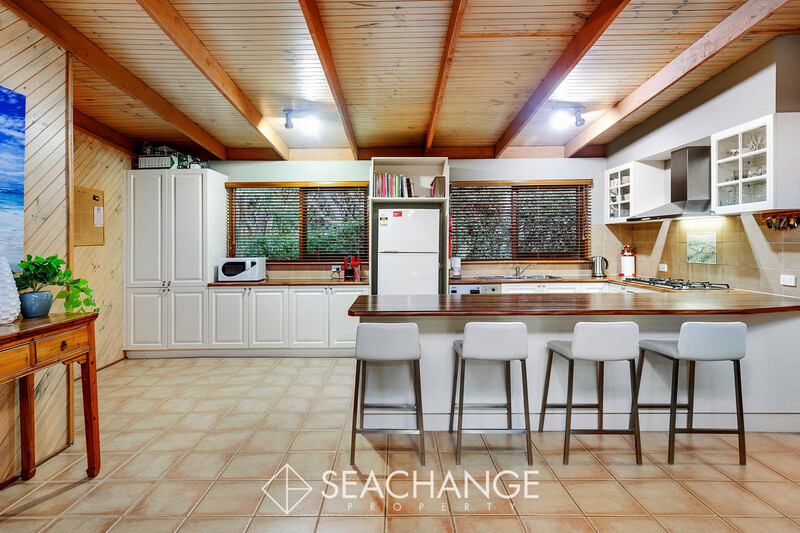 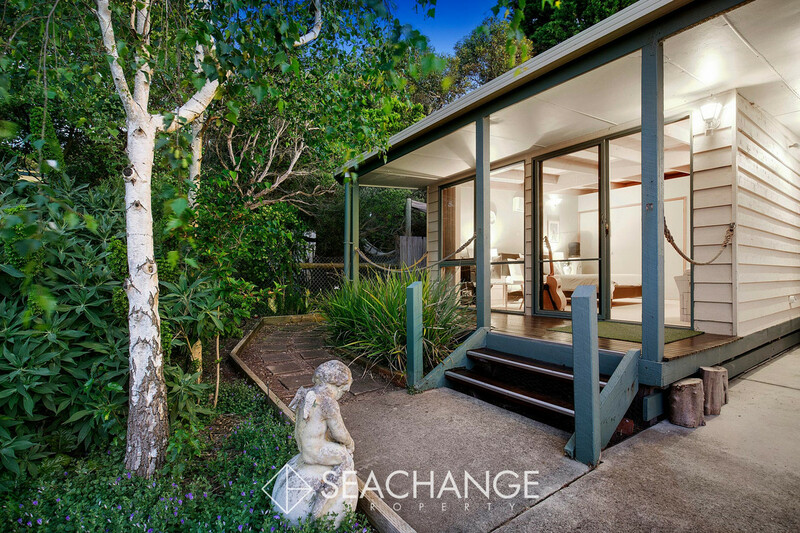 This beautiful weatherboard abode with four bedrooms is set on an excellent 1685m2 usable flat allotment (approx.) 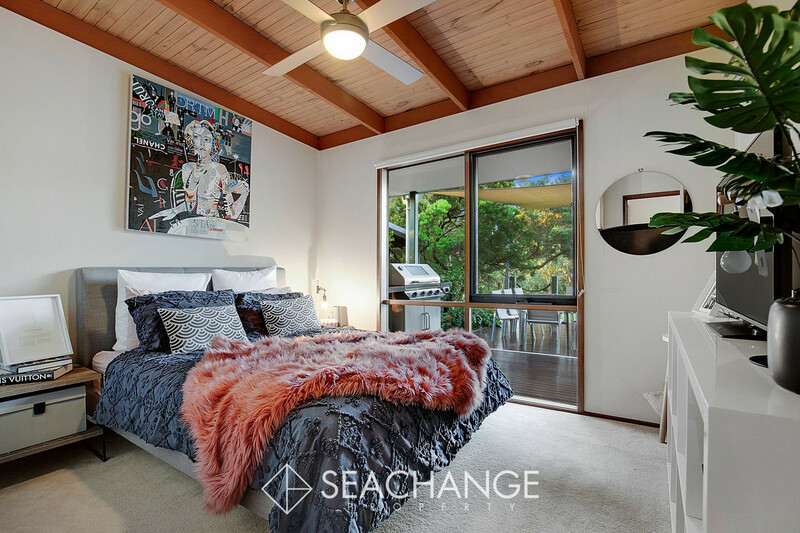 in total seclusion. 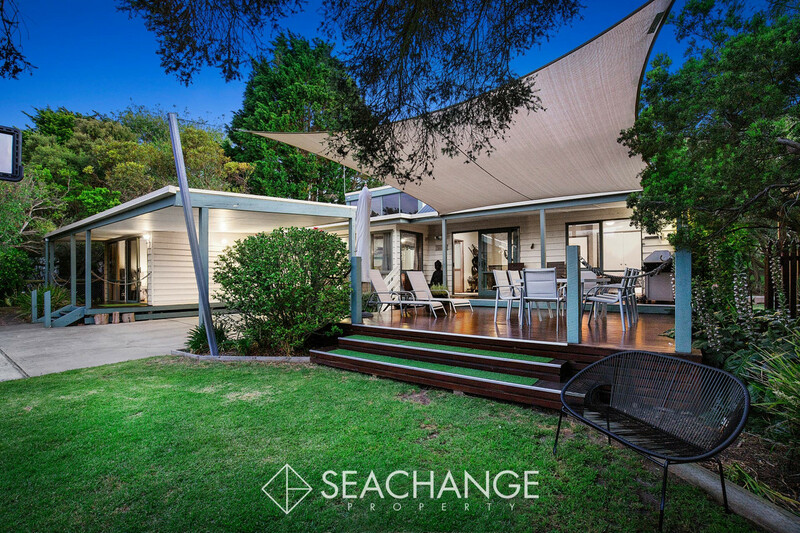 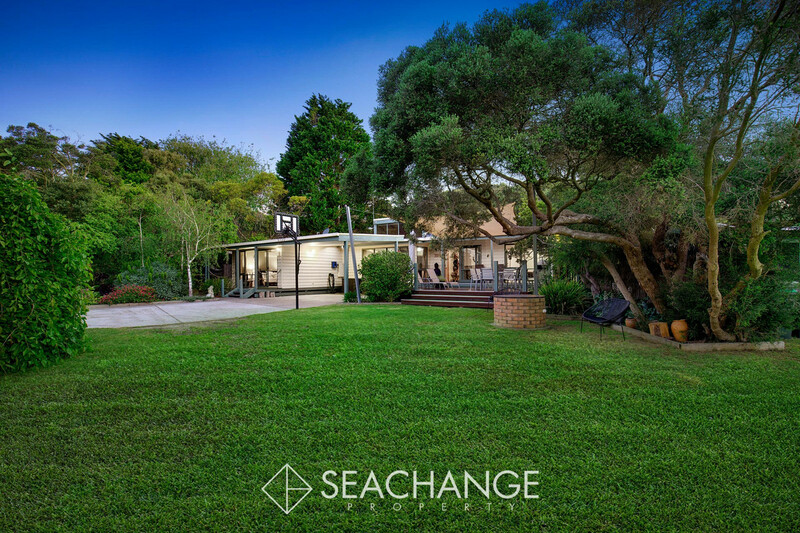 Skirted by ti-treed surrounds, seaside foliage and healthy lawns, the well-established property offers outdoor storage to cater for aquatic toys, caravans, boats, vehicles, tools and pets. 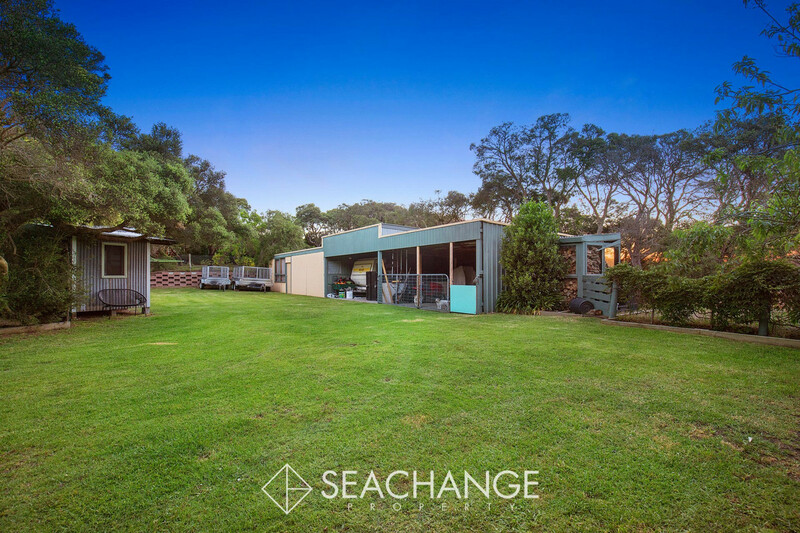 There’s accommodation for all of it including a handy garden shed, workshop, storage room and double carport. 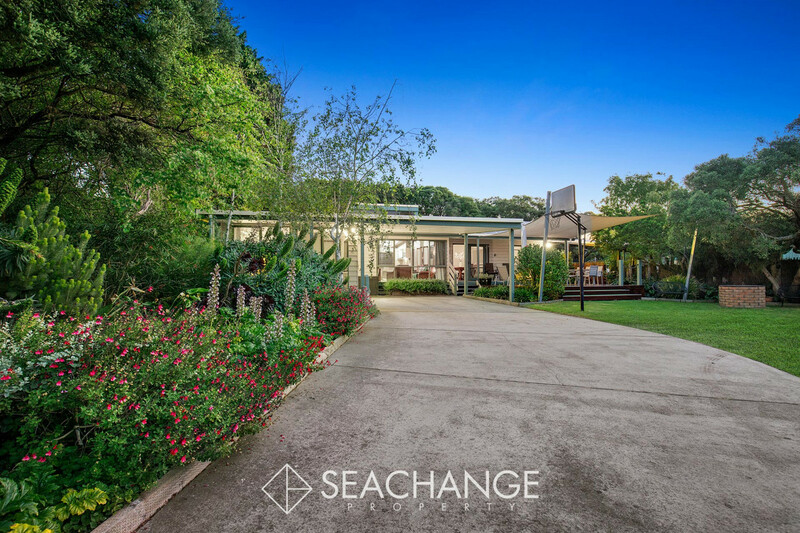 The single-level floorplan has a cosy central living space, separate dining area opening up onto excellent outdoor entertainment area with spa. 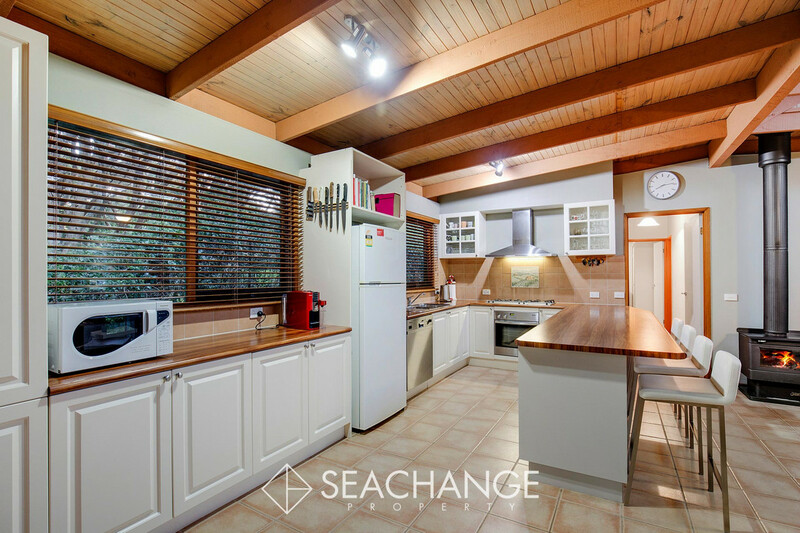 The timber-topped kitchen with an underbench oven, gas cooktop, Miele dishwasher and excellent storage. 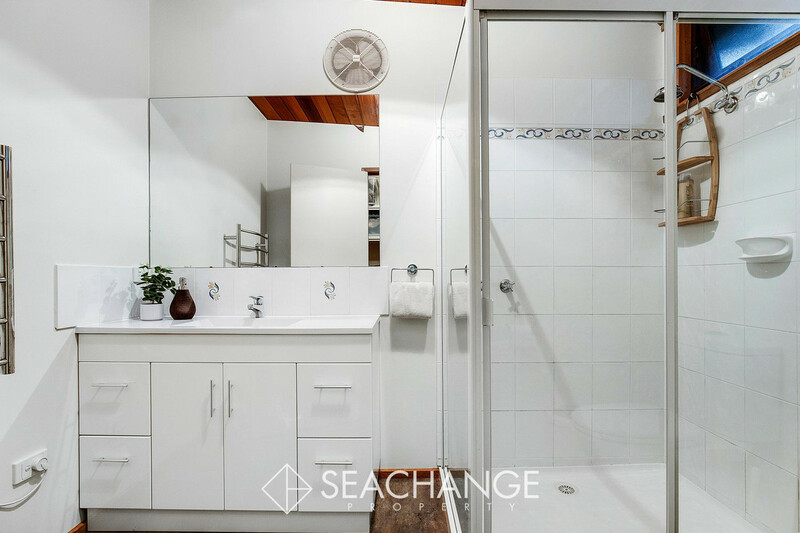 An ensuite and walk-in robe is fitted to the master bedroom, while laundry and central bathroom amenities are available off the remaining bedroom wing. 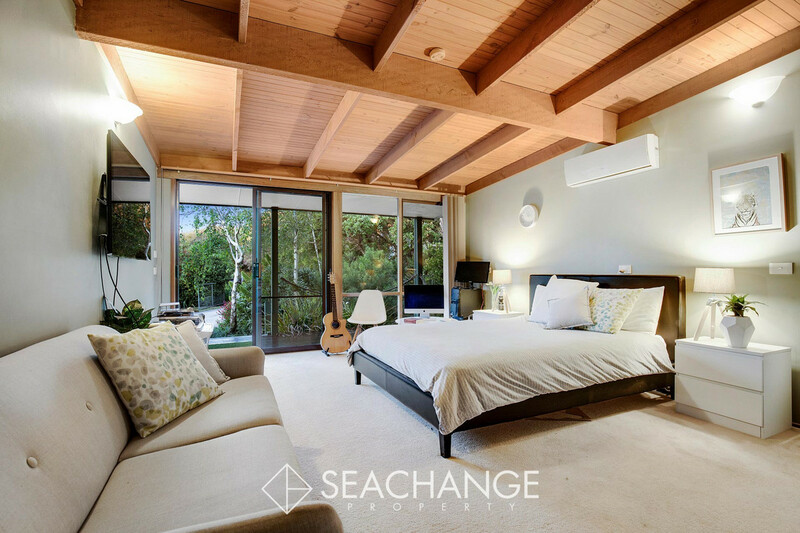 Split-system cooling plus Coonara heating is a dream throughout the seasons. 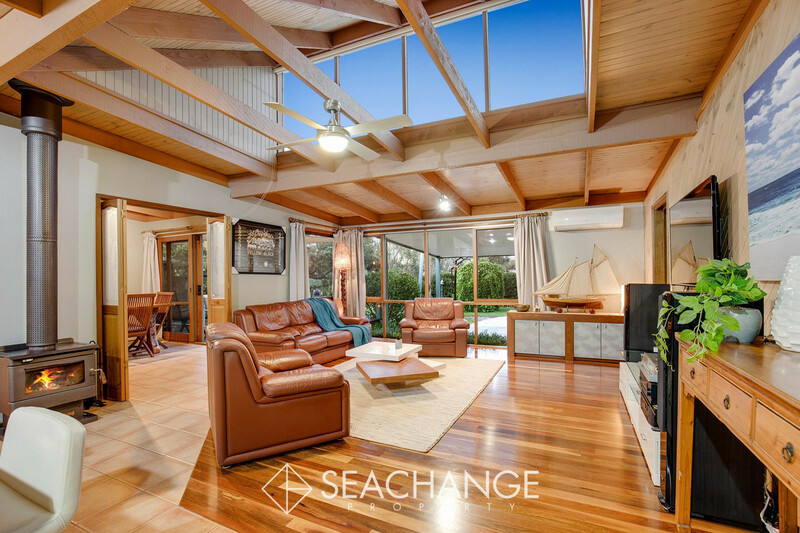 Adore the character-filled interior with its timber lined ceilings, exposed beams, polished floorboards and its light drenched living with well-placed elevated windows. 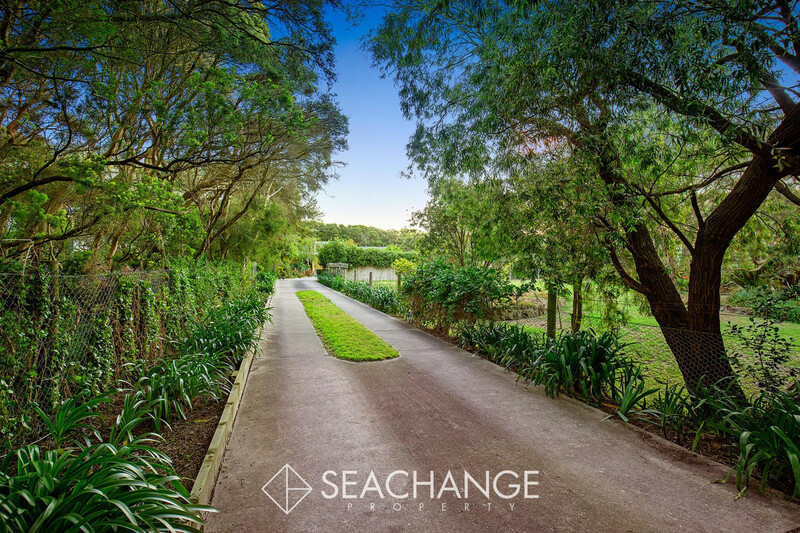 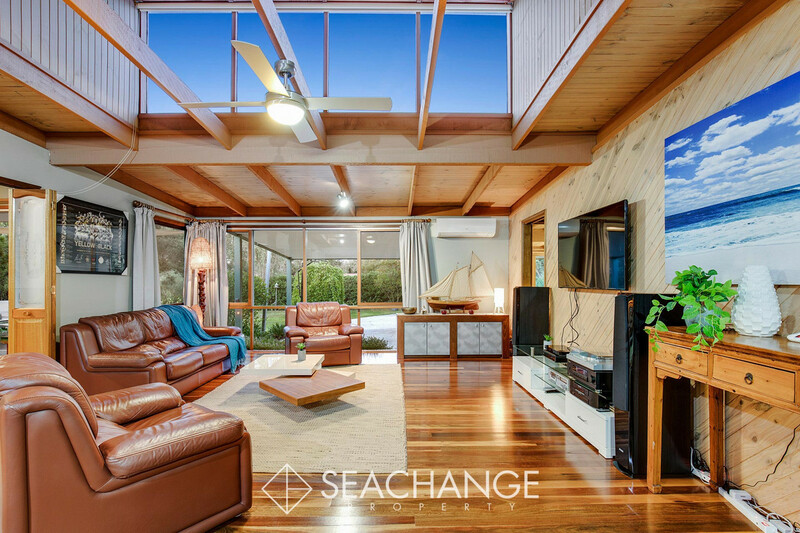 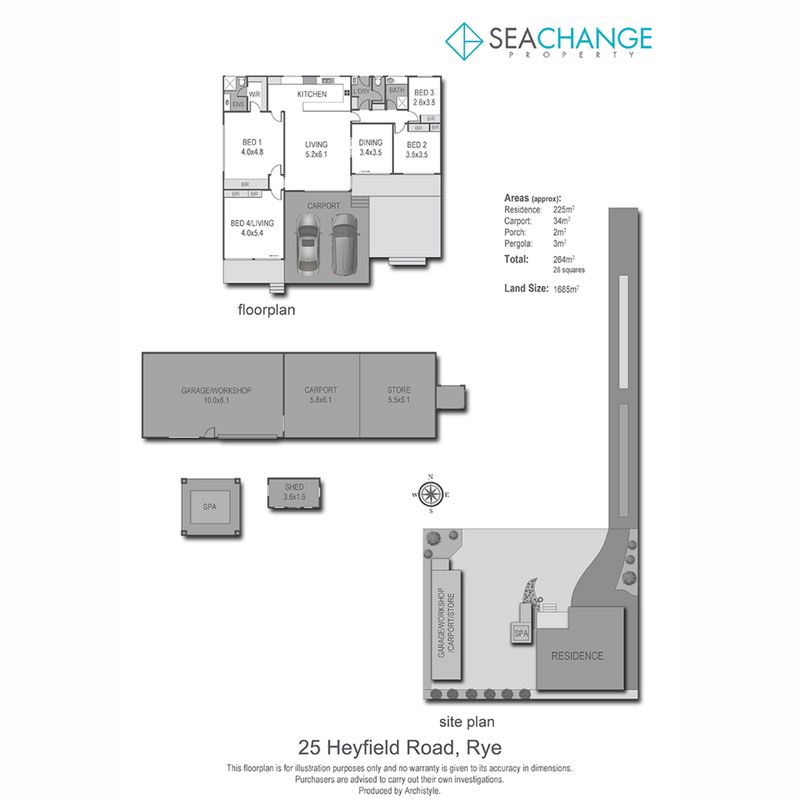 Enjoy picnics, walking tracks and playgrounds near the local jetty, go boating and swimming at the safe bay beach and shop til’ your heart’s content at the retail outlets along Point Nepean Road. 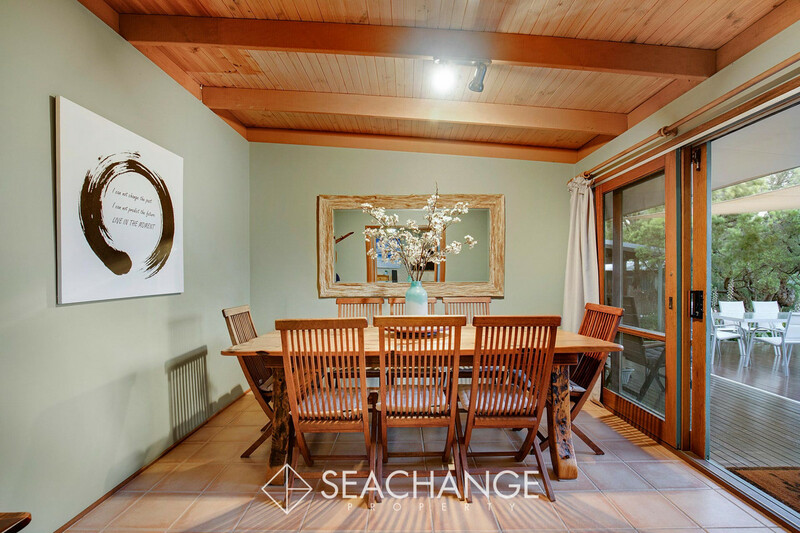 It’s all here at this wonderful holiday destination ideal for a relaxing vacation retreat, permanent residence or rock-solid rental investment.